As a land surveyor, you can work for the government, a private company, or even yourself. So you want to be a land surveyor. But maybe you wonder who, besides the government, you could work for in this capacity. We often see surveyors on the streets, mapping highway alignments, marking boundaries between private and public property, and doing other official business on behalf of the city or town. Other government agencies like the Bureau of Land Management and the U.S. Geological Survey employ land surveyors as well and are more focused on the environmental side of surveying. The USGS is the most prominent civilian mapping agency in the country, in charge of mapping land and water, including the polar ice caps. But what other types of businesses employ land surveyors? 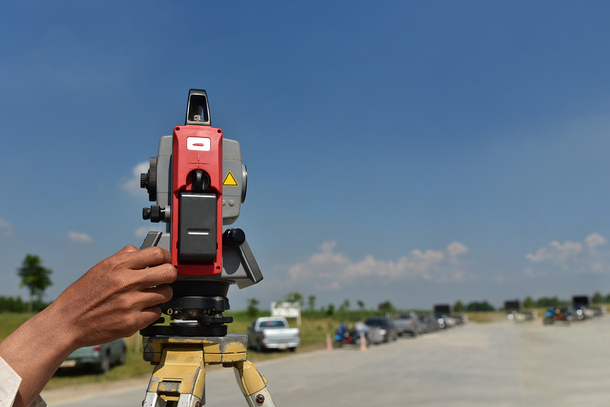 Private companies, which may be engineering firms or businesses that offer strictly surveying services, employ land surveyors to do boundary or property surveys. These surveys are not done every time a home is sold, however. Records are on file at county courthouses or other municipal buildings specifying property boundaries, but they are rarely necessary to confirm in a straightforward real estate transaction. It’s when a property owner wants to build a fence or put an addition on their home that they need a survey. Local ordinances often specify how far from a property line a building must be. This would include home additions, porches, sunrooms, sheds, and even sometimes decks or pergolas. The cost of putting up a building or a fence too close to the property line and having to move it is something every homeowner wants to avoid, so surveys are often called for in these instances. If you are a land surveyor for construction sites, you need a slightly different skill set. In a construction setting, you are surveying a parcel of land to determine the best positioning for the planned buildings. Although buildings are the most common elements of construction projects, surveyors sometimes also make recommendations for roads, bridges, fences, utilities, and more. Surveyors often work on roads, bridges, and at construction sites. The Bureau of Labor Statistics lists other types of survey jobs, including forensic, geodetic, marine and mine surveyors. Your particular focus of study will help determine what direction you go in when you begin searching for a surveying job. Assuming you are qualified for a variety of positions, you may want to ask yourself what type of employer you would fit best with. Since the government employs a fair percentage of surveyors, this is a major consideration. There are Reddit and Quora discussion forums about the pros and cons of public versus private employment, but ultimately, it’s a personal decision you must make on your own. Many government jobs are coveted for their high salaries, good benefits, and job security. When you take a job with the U.S. Navy, you don’t have to worry about whether they will go out of business owing you a few weeks’ pay. The government also provides benefits some smaller, private firms may not, such as paid leave, a 401(k) plan, and decent health insurance. But a government job isn’t for everyone. Some people prefer the more dynamic environment you find working for a private company. Advancement at these companies can also be quicker since the government regulates promotions and steps fairly rigidly. Also, the corporate culture will vary from company to company, and you may find one that’s a perfect fit for you. Further, you have the option of opening your own surveying firm. This comes with the benefits and drawbacks of any business venture — you get all the control and all the profits, but also all the problems and all the hard work. 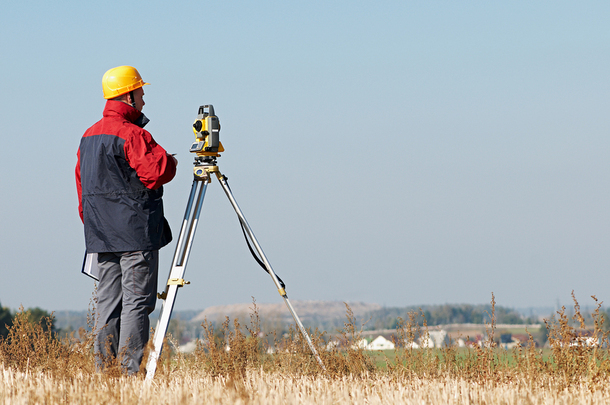 Land surveying is an exciting field with a wide variety of opportunities. PDH online courses provide you with the easy, convenient continuing education credits you need to do your job. Check out our approved courses today. What are Career Options in the Surveying Field?